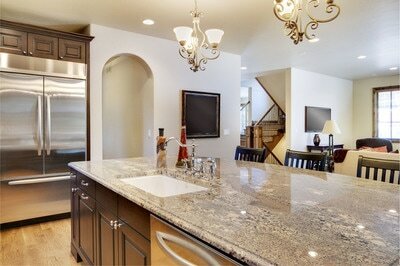 Granite countertops are highly popular among property owners these days. They get granite installed on the kitchen, bathroom, and all around their home. It is popular for very good reasons. While it’s not exactly the cheapest material you can get out there, it is one of the highest quality options you have. Beautiful and Timeless: Granite isn’t dependent on any trend or current style. It is timeless beautiful! You can get granite countertops installed today and they’d still look as stylish decades from now. Durable: One of the hardest natural stones around, granite is very durable! It doesn’t easily crack or get scratched even if you use it around the kitchen. Stain-Resistant: Granite doesn’t easily stain. For as long as you get it sealed every few years or so, spilled liquids like wine, juices, and more wouldn’t seep into its pores. Just wipe off dirt and your granite countertops would look like new. Heat-Resistant: Granite is incredibly resistant to heat. Even without protective covers, it won’t melt nor show signs of damage if you place hot pans and pots on top of it! Color Choices: Granite offers a variety of color choices that look naturally beautiful. 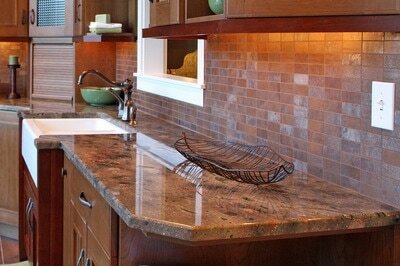 You can even talk to your local contractor about granite edges for added customization. There’s no question why you should get granite countertops for your home. It’s an excellent choice! Just make sure you’re working with a licensed contractor like Stone World. We offer granite countertop installation Orlando, as well as quartz countertops, marble countertops, and many more. Our services are available in Lake Mary, Clermont, Deltona, Sanford, Winter Park, and nearby areas. Call 407-341-4688 today to get a free estimate! 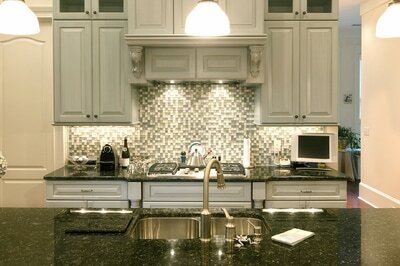 Nowadays, when it comes to bathroom and kitchen countertops, popular choices always include granite and quartz. However, there are still homeowners who love the classic and elegant look of marble. If you’re looking into remodeling your kitchen, bathroom, and other parts of your home, you might as well know more about marble countertops advantages so you can come up with a better decision. Truth be told, a lot of people don’t consider marble for their new countertops altogether because of some of its disadvantages. For instance, while you can’t really feel it with bare hands, marble is a softer and less durable stone compared to granite or quartz. It is not scratch or stain-resistant, too. This means that marble is a little more high-maintenance compared to other stone types. Cost: Sure, there are expensive types of marble, but there are also ones that you can get for very friendly prices! Availability: Marble is widely available. Most stone fabricators and suppliers offer high-quality marble material and it is almost never hard to find! Naturally Cool: Since marble is naturally cool, it is a top choice especially for bakers and chefs who work on pastries a lot. However, since it is cool, it doesn’t conduct heat well, which can be considered a disadvantage when you use it in the kitchen. Timeless Beauty: Marble is simply beautiful. Its elegance is timeless and classic. Yes, there are some disadvantages to choosing marble countertops; however, its beauty still makes it every inch worth the extra effort for maintenance. If you’re interested in getting marble countertops Orlando for your home, Stone World can help you. We offer services in Sanford, Windermere, Ocoee, Lake Mary, Clermont, and nearby areas. Call us today at 407-341-4688 to get a free quote! Are you currently building an outdoor kitchen or a brand new patio perhaps? Aside from designing the area, getting new furniture, and other items, building countertops might also be part of your itinerary. At this point, you might be wondering whether granite countertops for outdoor use would be durable enough. The short answer to that is yes! Most homeowners who build outdoor kitchens turn to natural stone or concrete for their countertops. This is because you have to take into consideration the cost and how durable the material would be even when exposed to all outdoor elements like rain, changing weather, too much sun exposure, etc. If concrete just looks too dull for you, granite countertops would be a great classy and luxurious option. Granite is a non-porous material. It doesn’t stain or absorb odors. It is heat-resistant too. This means that prolonged exposure to the sun won’t fade or dull down your granite countertops in the great outdoors. However, you also have to make sure that the countertops are built using the best quality materials, topnotch workmanship, and are sealed every few years to prolong its durability and beauty. When you’re considering outdoor Orlando granite countertops, you must reach out to a trusted contractor. This way you can be sure that your countertops will not only be beautiful but also durable enough to last for a very long time. Stone World is here to help! Our services are available in Orlando, Maitland, Lake Mary, Clermont, and nearby areas. Call us at 407-341-4688 to get a free estimate today! Kitchen countertops are some of the most important parts of every home. For a lot of people who are still in the process of purchasing a home, the look and make of kitchen countertops can affect their decision greatly. For those who are already homeowners, they know for sure how these countertops can have a huge impact on the overall beauty of their home. More importantly, beautiful and kitchen countertops are necessary for better functionality. There are plenty of options when you’re still deciding on what material to use for your kitchen countertops – granite, marble, quartz, quartzite, and more. Of course, there are always those ordinary kitchen tiles that could be cheaper options. However, the goal shouldn’t always focus on what’s cheap – beauty and durability are major factors to consider too. For instance, granite countertops for the kitchen remain a top choice among homeowners. Granite may not be the cheapest option but it is certainly worth every dollar you spend for. Firstly, granite is very beautiful and you have different colors and patterns to choose from. Furthermore, granite is incredibly durable. It would certainly last for a very long time with proper granite sealing, cleaning, and minimal maintenance. When you’re looking to install kitchen countertops Orlando for your home, it is best to seek assistance from a licensed contractor. Whether you’re choosing granite or quartz countertops or other materials, you can be sure your countertops for the kitchen would look beautiful and last for many years when you’re working with a reliable contractor. For countertops in the kitchen, Stone World is here to assist. We offer services in Orlando, Maitland, Windermere, Winter Park, Clermont, and nearby areas. Speak to one of the experts on our team today. Call 407-341-4688 to get a free quote! Granite countertops are beautiful, durable, and requires very little maintenance. These features make granite such a great choice for bathroom and kitchen countertops. Though granite is not the cheapest material you can use for countertops, it is certainly a great investment. Cleaning granite countertops is fairly easy too. More often than not, you simply need a clean rag to wipe off dirt and you’re good to go. However, if you want to keep your countertops made of granite looking beautiful, truly clean, and sanitized, we are here to help you out with some great tips. These are best practices shared not only by the experts but also by longtime owners of properties with granite countertops and other granite furniture. Granite sealing is very important. This should not be taken for granted. As soon as your countertops are installed, the contractor should have already sealed the granite. This process must be repeated every few years – the frequency depending on the type of sealant used. Seek assistance from a licensed contractor to ensure that granite sealing is done properly for long-lasting effectiveness. One of the many benefits of sealed granite is that it’s a sanitary material. It doesn’t absorb spilled liquids and other forms of dirt. However, some homeowners would still prefer using disinfectants especially for their kitchen and bathroom countertops. For sanitization on a daily basis, you may use warm water plus gentle dish soap to clean your granite countertops. Every once in a while, you may also spray a water-isopropyl alcohol 50:50 solution to the countertops if you believe strong disinfectants are needed. Lastly, make sure you avoid using sponges and cleaners that are abrasive. While granite is very durable and cannot easily be scratched or cracked, harsh cleaners including acidic solutions like vinegar and lime may cause to weaken the sealant quicker than expected. If you’re looking to remodel your kitchen or bathroom or if you’re planning to install brand new granite countertops Orlando, Stone World can help you out. We are a reliable contractor servicing our valued clients in Sanford, Windermere, Ocoee, Lake Mary, Clermont, and nearby areas in Central Florida for many years now. We’d love to be part of your home transformation too. Call us at 407-341-4688 for a free estimate! Are you planning to install new granite countertops for your kitchen or bathroom? There are plenty of things to take into consideration. Although you can seek assistance from your contractor or interior designer, it would be better if you also know all the details to ensure you’re getting exactly what you want for your home. Among those tiny details that actually make a huge difference are granite countertop edges. It may seem like a simple thing really, but granite countertop edges make a huge difference. It can affect the overall look of your countertops. Furthermore, even the design of these edges could even affect the cost of the installation. There are many more options you can choose from. A quick online search will lead you to different granite countertop edges! What’s great about granite countertops is they are easy to cut and customize according to your preference. Simply ask your local contractor for assistance. If you’re looking for beautiful granite countertops Orlando with beautiful edges, Stone World is the company to call. We offer our services to residential and commercial properties in Deltona, Sanford, Longwood, Maitland, Winter Park, and nearby areas in the Central Florida area. Just give us a call at 407-341-4688 for a free quote. Are you remodeling your bathroom? Perhaps you’re looking for new countertops? Granite bathroom countertops are some of the most popular choices on the market for property owners today. Whether you need the best material to use for your residential or commercial property, you’re definitely making a great choice with granite. Granite boasts of beauty and elegance that would last through the years. Its timelessness is a key factor that makes granite simply perfect. No matter which shade or color you choose, it won’t go out of style. You’re never stuck with just a couple of boring shades when you choose granite for your bathroom countertops. You can explore different speckled and solid designs. You can even play with the countertop surface – glossy or matte, it’s all up to you! Granite is very easy to clean. Maintenance is a breeze because you simply have to get granite sealing services every few years to ensure that the durability and stunning beauty of your countertops remain. Most often than not, there’s no scrubbing or expensive cleaning materials needed. Simply wipe off your countertops with a damp clean rug and you’re good to go. Granite is exceptionally durable compared to other materials. It doesn’t easily crack or chip. In fact, some homeowners get granite even for their bathroom walls and floors! If you’ve decided on getting granite countertops Orlando for your bathroom, Stone World is ready to help! Our services are also available in Longwood, Sanford, Lake Mary, Deltona, and nearby communities. Call 407-341-4688 for a free quote!